Give them something they'll never forget, like a family tree necklace or custom wool socks. Are you wondering what your special someone really wants? If so, you're in luck! Today Chassie Post joins Kathie Lee and Hoda to show offer her top gift picks for Valentine's Day this year. From a custom star map to a boyfriend pillow, you are sure to find something for every loved one on your list! You can shop some of Chassie's go-to gifts below, as well as 37 of our own picks just for you! 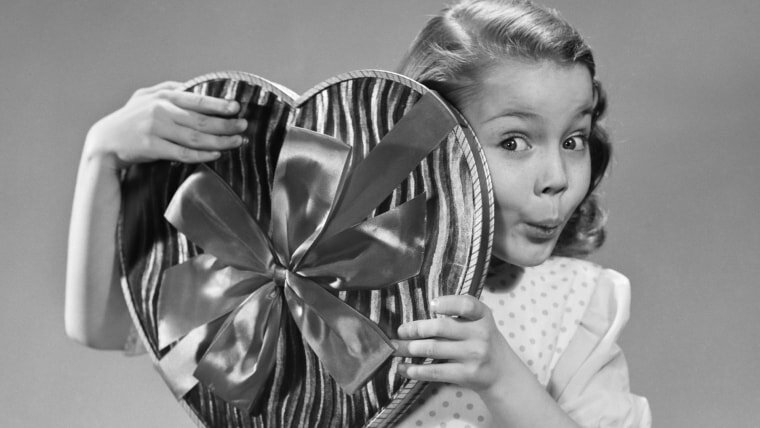 For more v-day ideas, check out our list of Valentine's gifts for kids, Valentine's cards for kids, and books to teach your child about love on Valentine's Day. You can also scroll through our gift guides for dad, mom, grandma, grandpa and more! 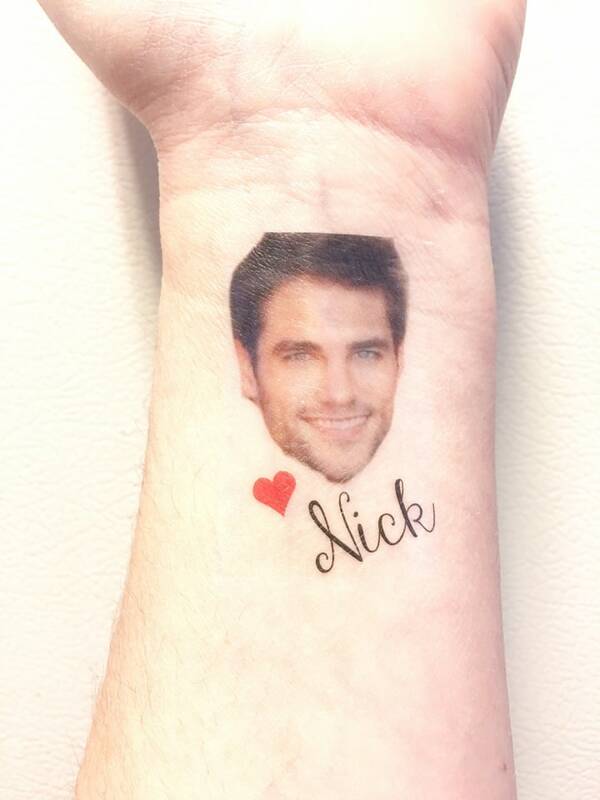 Did you ever want your very own custom temporary tattoo of your loved one? Well, look out because now you can! The brilliant Angel, owner of the Symbolic Imports Etsy shop can certainly make your Valentine's the most special yet. Just send in a photo and you get back a tattoo that you can wear with pride (and a whole lot of love!). This handmade, personalized birthstone necklace with engraved name charms will make for a perfect gift for mom. 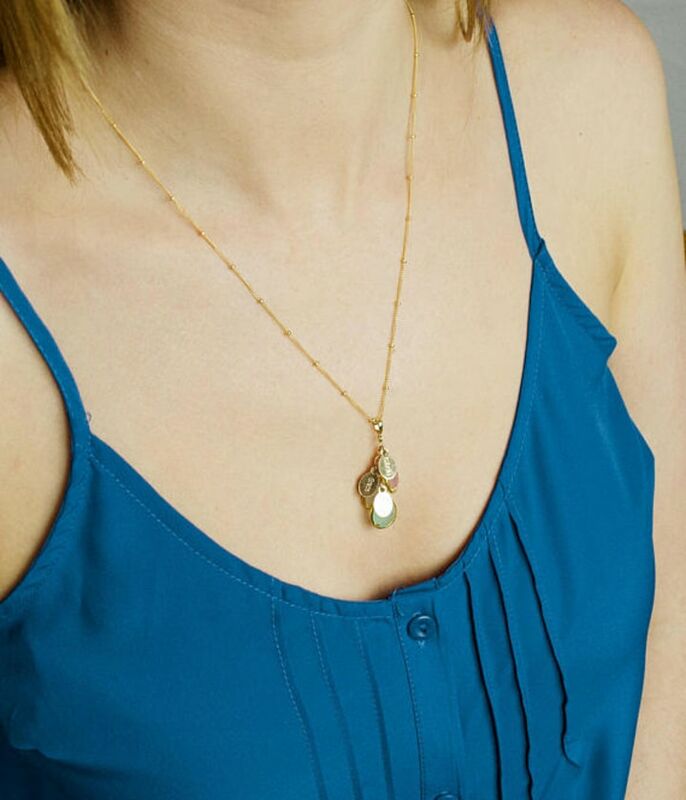 Each of her children are represented with their own gemstones and name tag and arranged in a cascading pendant. She'll love this sentimental gift! Rub-a-dub-dub, it's time to upgrade the tub! 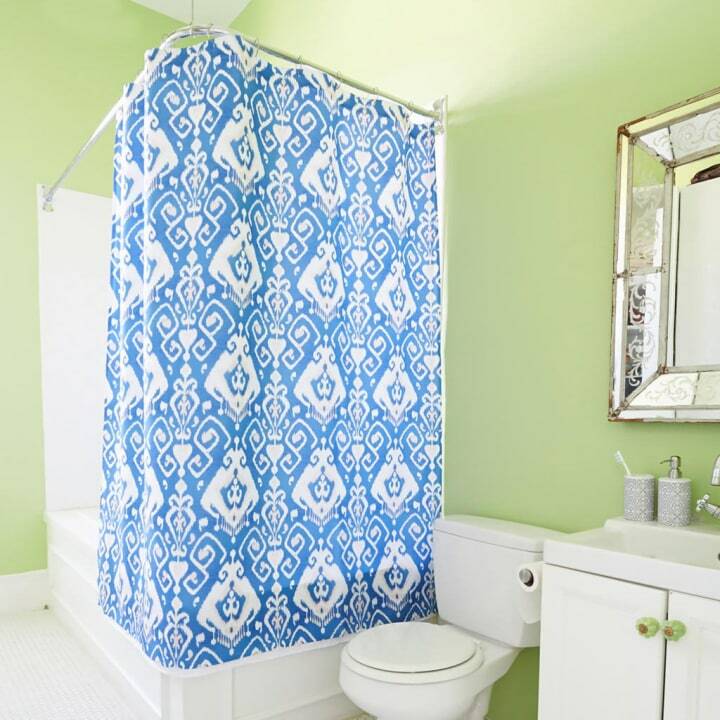 A custom shower curtain is a simple and FUN way to upgrade your bathroom. You can easily create a unique room that matches your personal style with a shower curtain showing off your favorite quotes, images, or patterns. 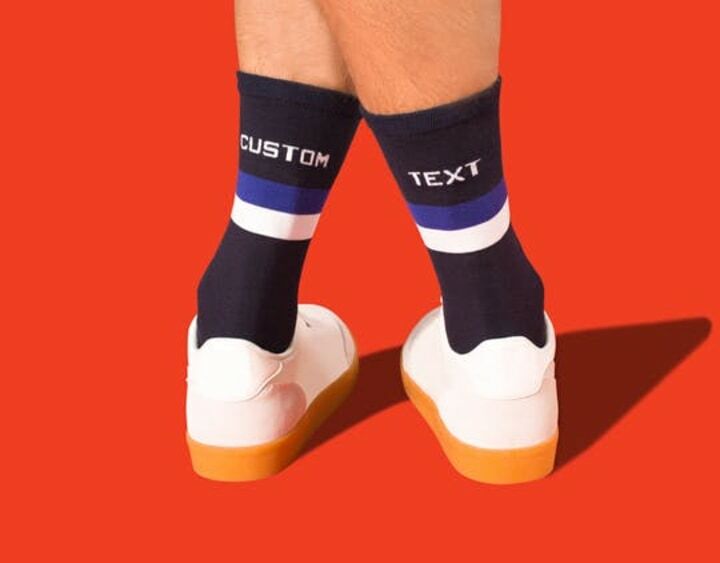 The Woolmark Company has partnered with Brooklyn Based brand Thursday Finest to deliver a line of totally awesome customizable socks perfect for showing your V-Day love! And that means not just a name or a monogram, but you can even personalize a message. Socks are made to order using a 3-D knitting machine and made in your fave guy's actual shoe size from premium Merino wool. 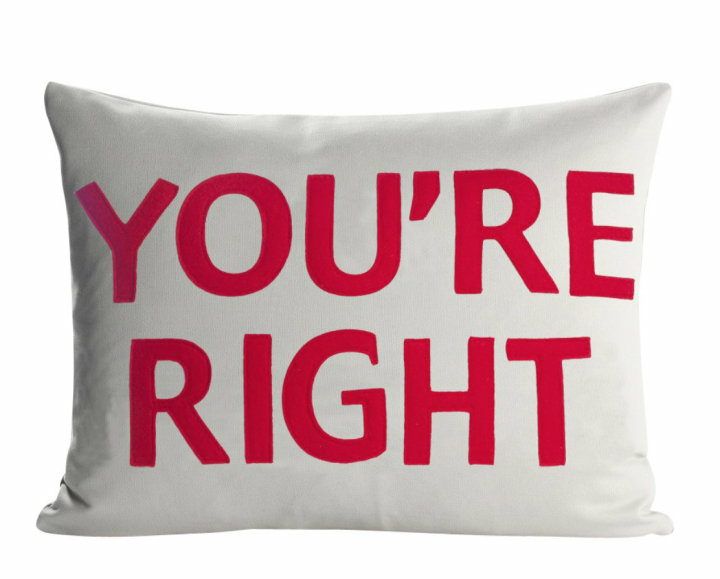 With this pillow by your side, you will never have to miss your special guy again. This is the ultimate cuddle pillow, the Boyfriend Body Pillow is akin to a virtual hug pillow; a thick, ultra-soft fluffy friend culled from pure cotton. 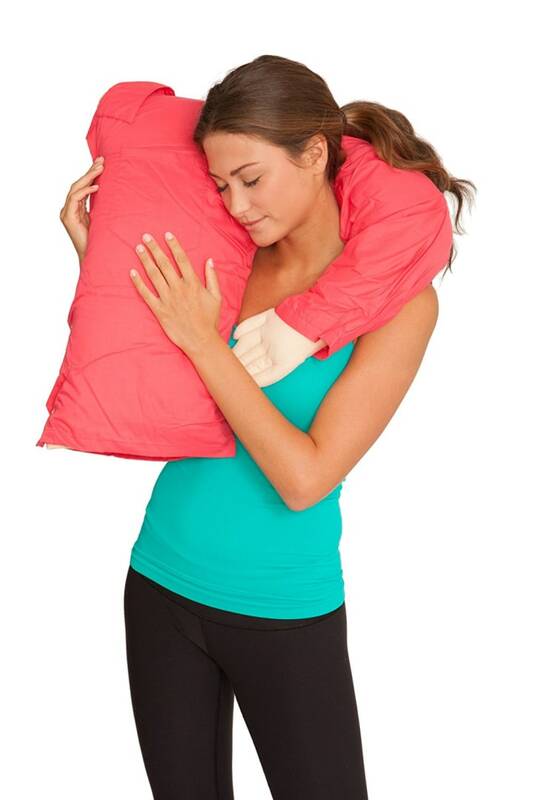 A great stand in for your guy - or if you need a hug this pillow can be a lot less trouble than a boyfriend! 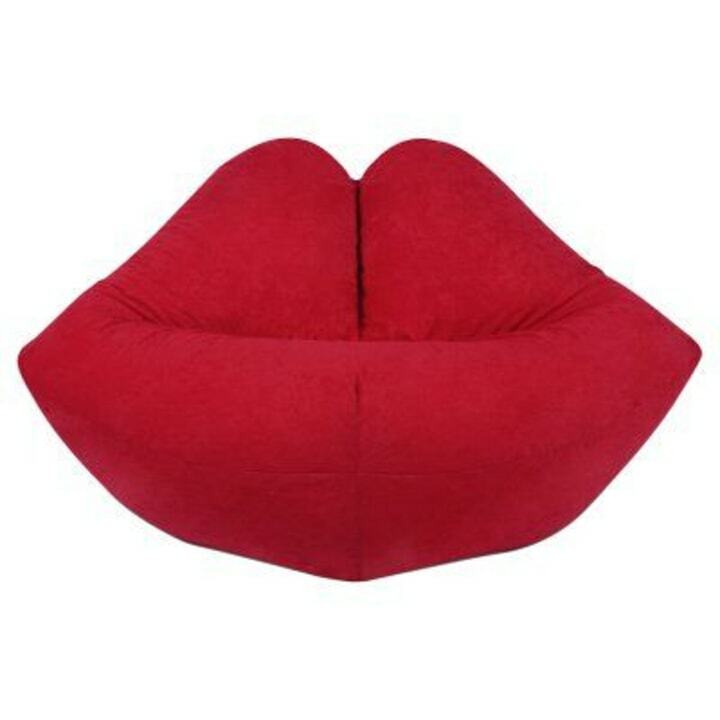 Pucker up and relax in this Fun Factory Hot Lips Fun Shapes Bean Bag. It's super comfy with plush seating in a soft, wild cherry colored fabric. Additionally, the Shop TODAY team took some time to round up all the must-have gifts for everyone on your list. 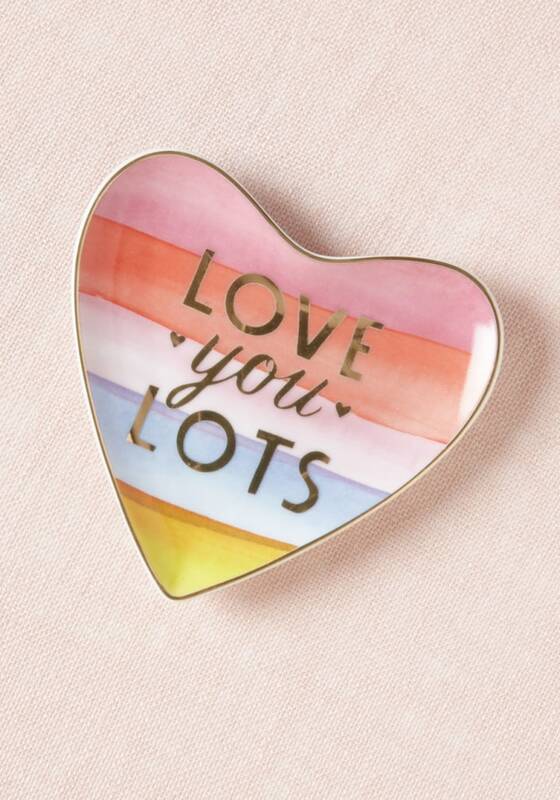 From personalized heart necklaces to customized beer coolers, we've found something for mom, dad and everyone in between. 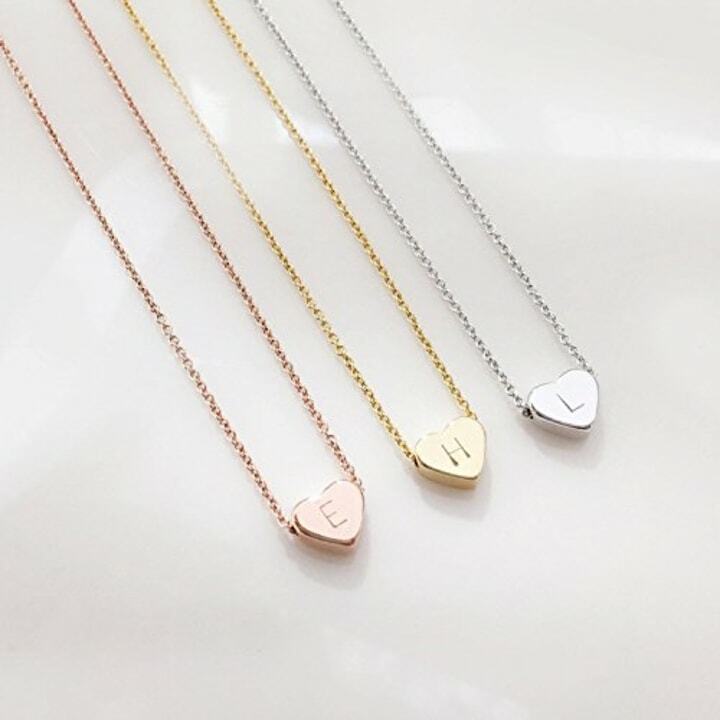 There is nothing like a personalized heart necklace to make someone feel special — even if is (very) last-minute! Yes, you can order these delicate, modern heart necklaces up until the last second. If you order by 3 p.m. you can select same-day shipping. Plus, they come in gold-plated, silver-plated and rose gold-plated options. Golf and drinking go hand-in-hand! With this funny little device, your love can sneak drinks on the course without anyone knowing. This "golf club" holds 48 ounces of any drink you choose! Monogramming comes in so many different shapes and sizes, and this beer cooler from Cathy's Concepts available at Nordstrom is sure to please anyone on your list. 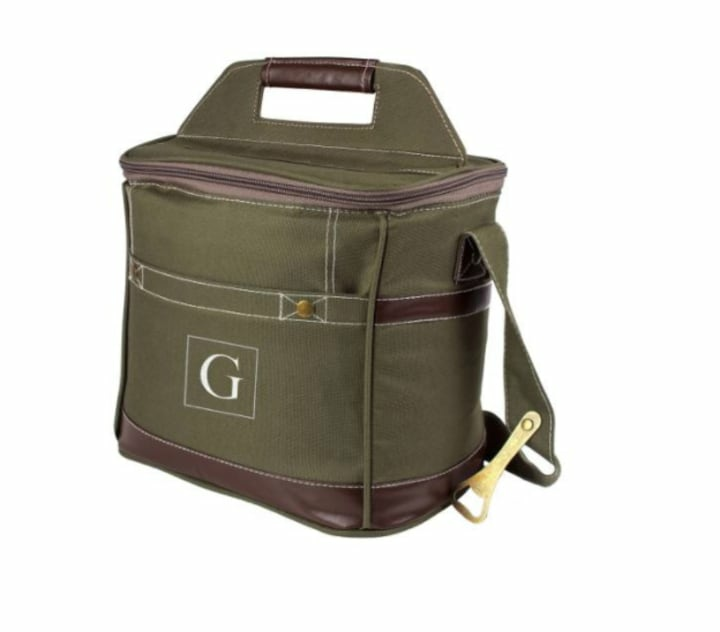 Invite them on a romantic picnic and surprise them with 12 cold ones in this army green cooler with their initial on it. When it come to gifts, these Wonderboom portable waterproof speakers are a Valentine's Day crowd-pleaser. 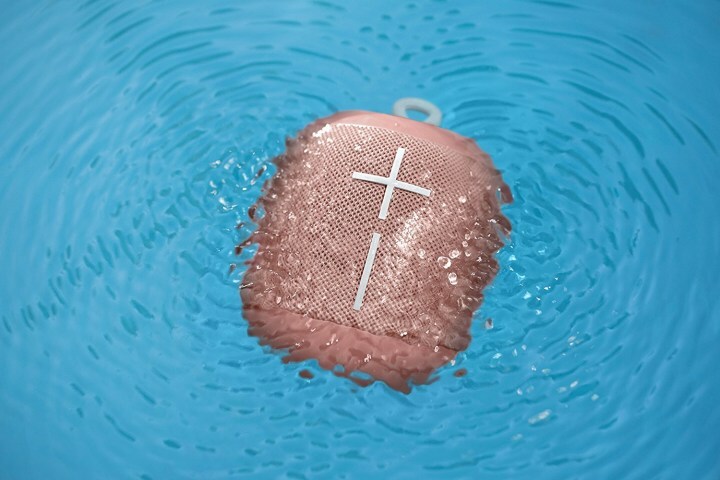 This durable and great-sounding Bluetooth speaker brings the party wherever it goes — even if said party happens to end up in the pool. Plus, they come in lots of fun colors that will suit many different people's tastes. If your loved one loves to take a bath, gift them with a different kind of flower bouquet this year. 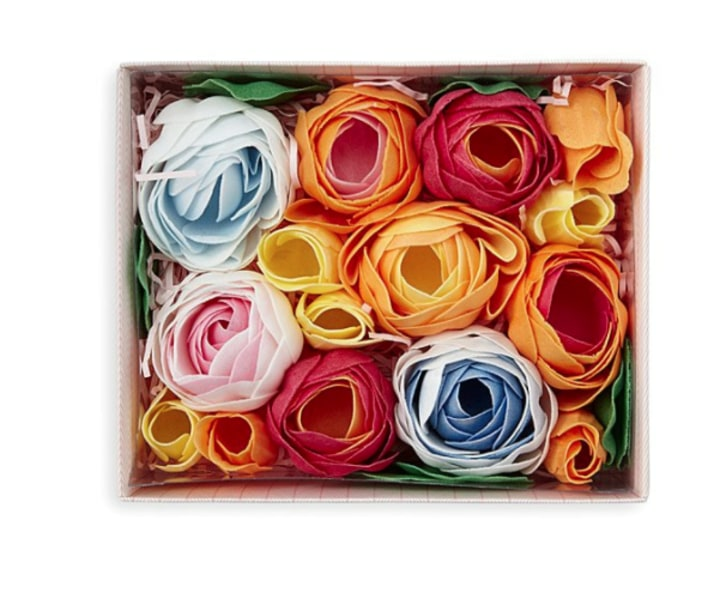 These soap flowers from Uncommon Goods are meant to be sprinkled in the tub to create a luxurious, lathering cleanse. They smell great too! 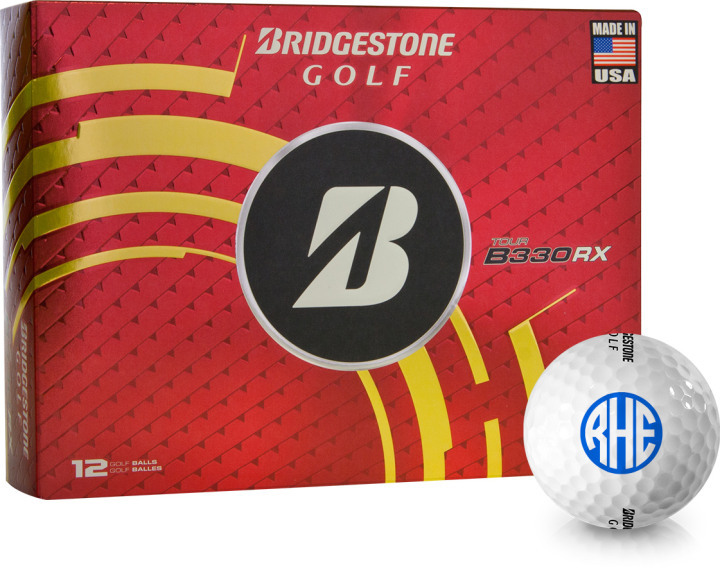 Customize a set of golf balls with your loved one's initials, a special message (i.e., “Hit the ball, not the grass!”) or even their picture. The new mama will love snuggling with her tiny valentine in these soft and adorable organic cotton Valentine’s Day pajamas. We can’t get over the precious prints, plus they come in sizes for newborns to 7-year-olds, so all her little ones can get in on the love! 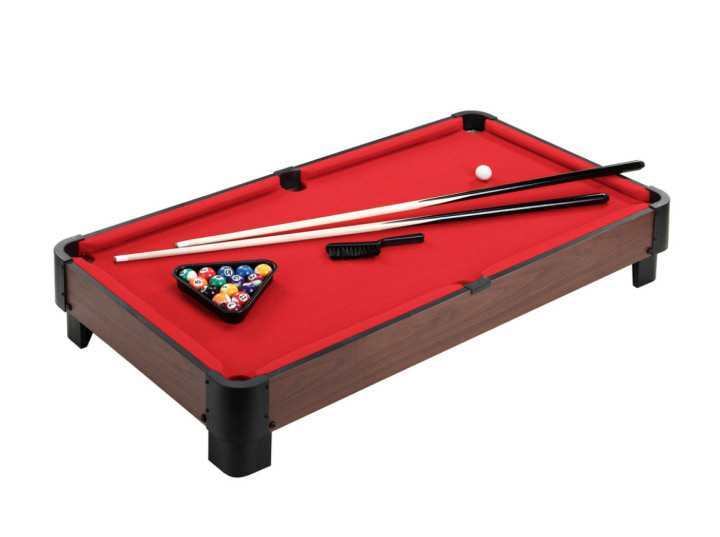 A snazzy red felt tabletop pool table will thrill your favorite pool shark. 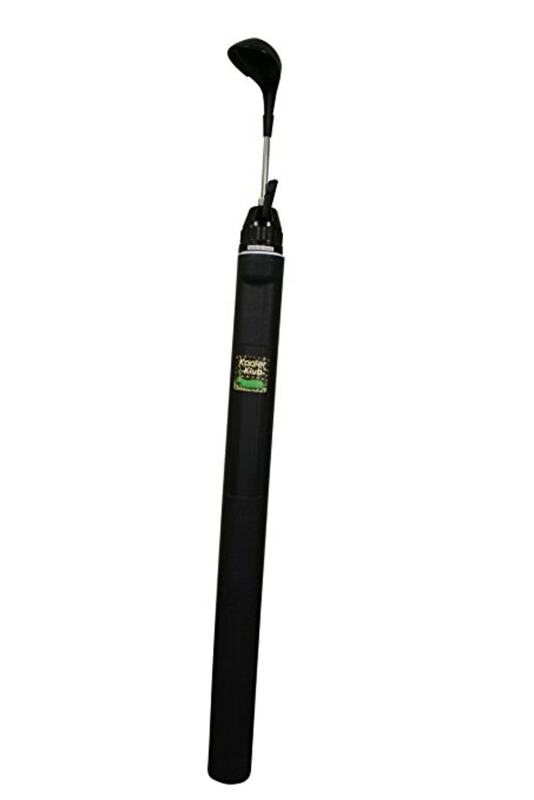 This beauty come with everything you need to play, from balls to pool cues, and it measures at 40 inches long. But beware: If you do happen to give this handsome pool table, be prepared for a Valentine's Day evening mini pool marathon! You know what that hard-to-shop-for valentine needs? Their very own giant personalized fortune cookie! This vanilla delicacy measures 6-by-6 inches and is dipped in Belgian chocolate with red, pink and white heart-shaped sprinkles. 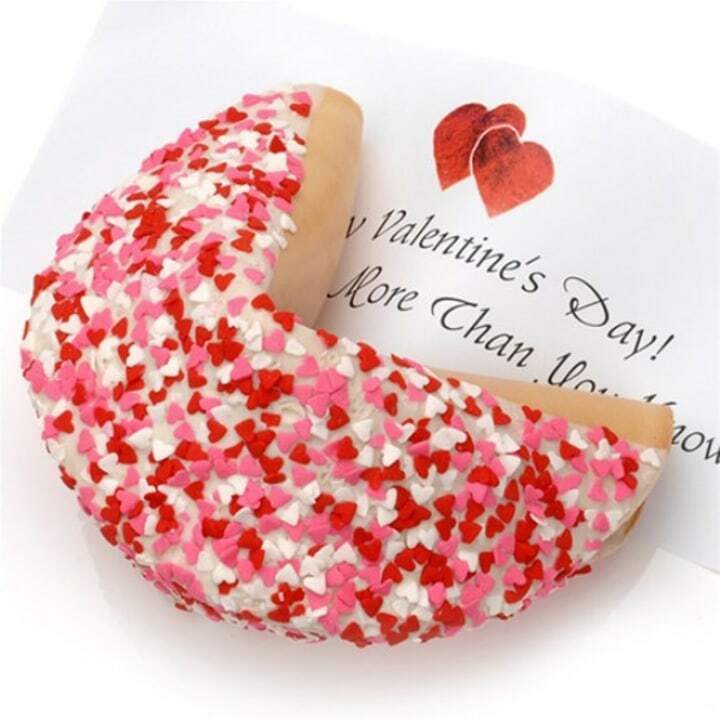 But the best part is that the yummy cookie houses a foot-long personal message inside. Now that's quite a treat! We love Alex and Ani’s charm-embellished bangles, and your valentine will, too. 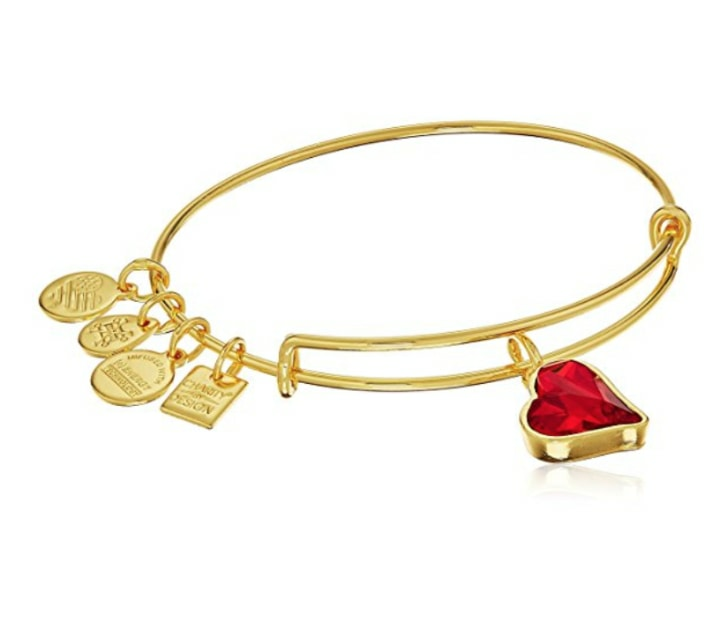 This Product (Red) Heart of Strength Bangle is also a gift that gives back: Alex and Ani will donate 20 percent of the proceeds of the sale of each bracelet to the Global Fund to fight AIDS with (Red). Duke it out with your valentine over who gets the “I Love You” and who gets the “I Love You More” pillow. 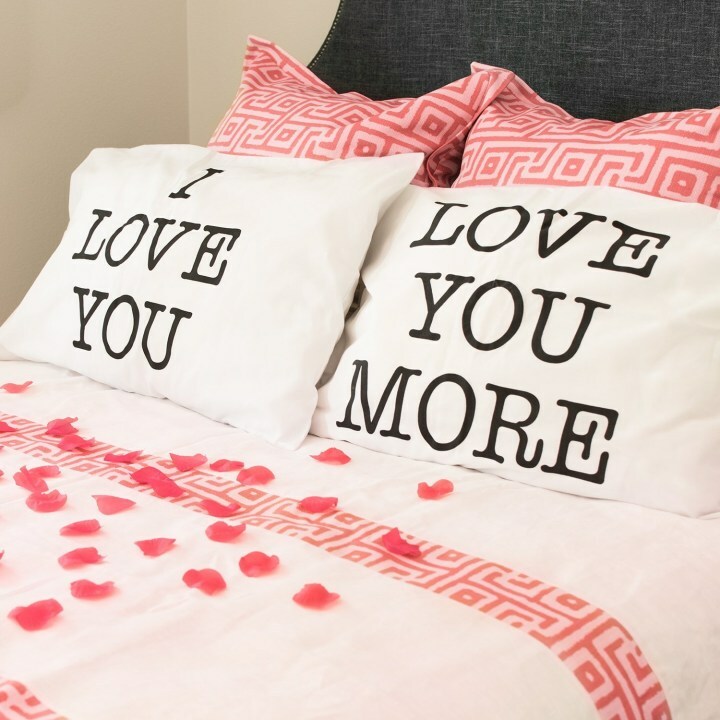 Either way, your valentine will certainly get the message with these graphic pillowcases. We were really taken by these gorgeous porcelain flowers that double as fragrance diffusers. 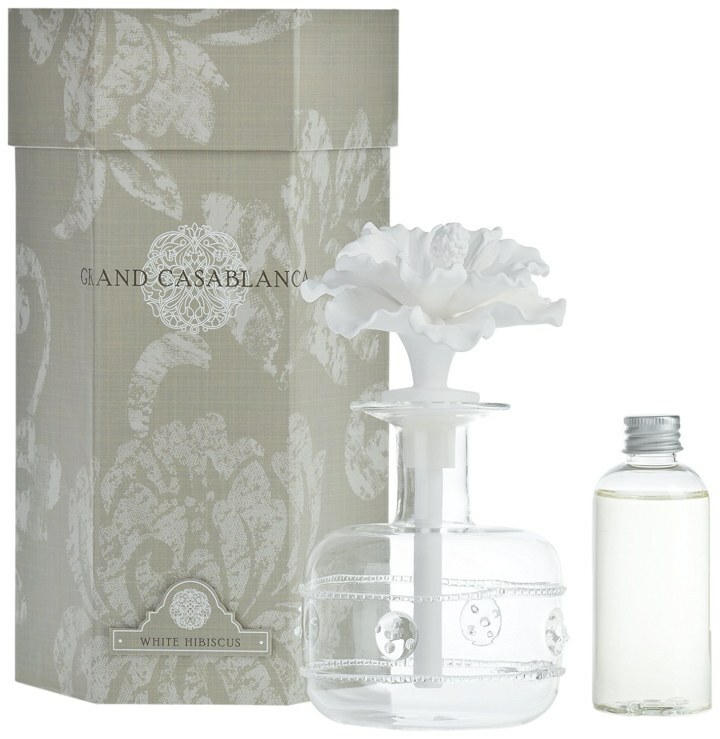 This one has a lovely white hibiscus scent, but you can choose from other exquisite fragrances like Tahitian gardenia and even collect different porcelain flowers. 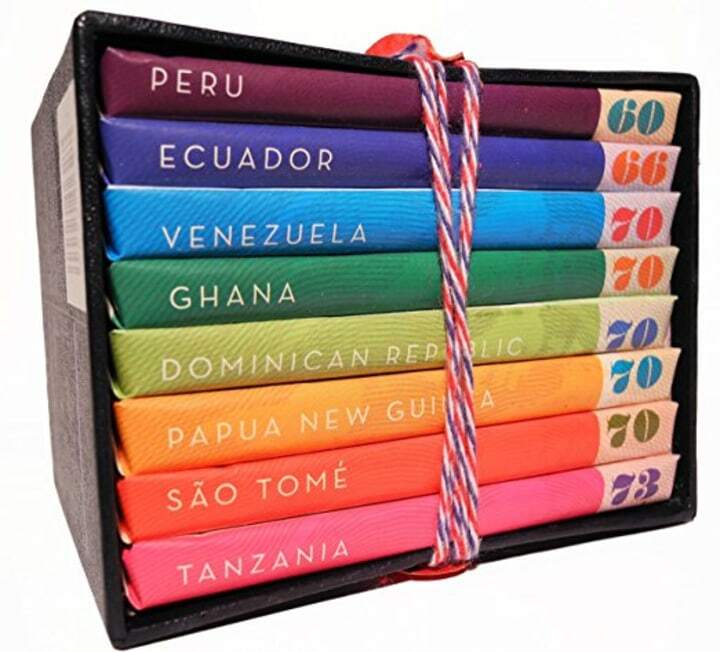 Featured on Kathie Lee and Hoda this week, this chocolate passport set is perfect for the world traveler - or the person who just loves chocolate! 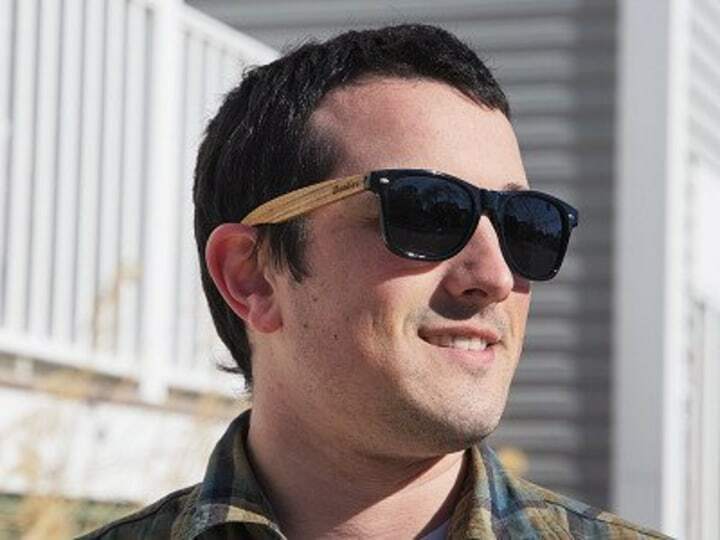 These wooden sunglasses put a natural twist on a classic with real walnut, zebrawood, and rosewood arms. The lightweight, durable frame has polarized lenses for extra protection, while the woods’ natural grain adds character to the beach-going vibe. We love that they are affordable, meaning if your Valentine tends to lose theirs, a backup pair is easy to come by. One of our fave décor books ever is perfect for the home-obsessed! 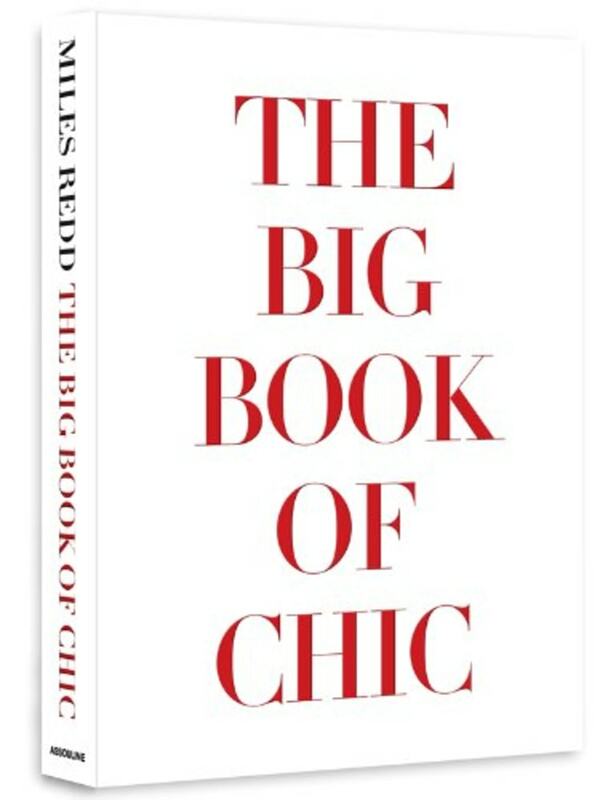 Celeb decorator Miles Redd's decorating bible, "The Big Book of Chic" (and we mean BIG!) is a source of endless inspiration, and it looks beautiful on any coffee table. 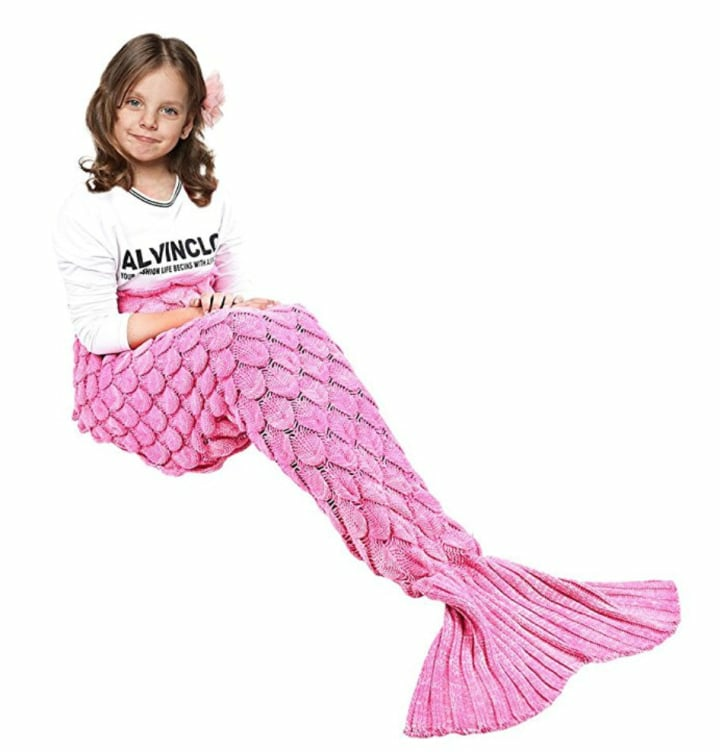 Here's a fun mommy-and-me valentine idea: matching pink hand-knit mermaid tails! Why? Because there can never be too many mermaids in one house. DNA kits for humans marked a big trend in gifts for the holidays, so for the dog-loving valentine, why not give a DNA kit for their pup?! You can find out about the dog’s lineage and and ancestry, and also learn more about their health and traits. 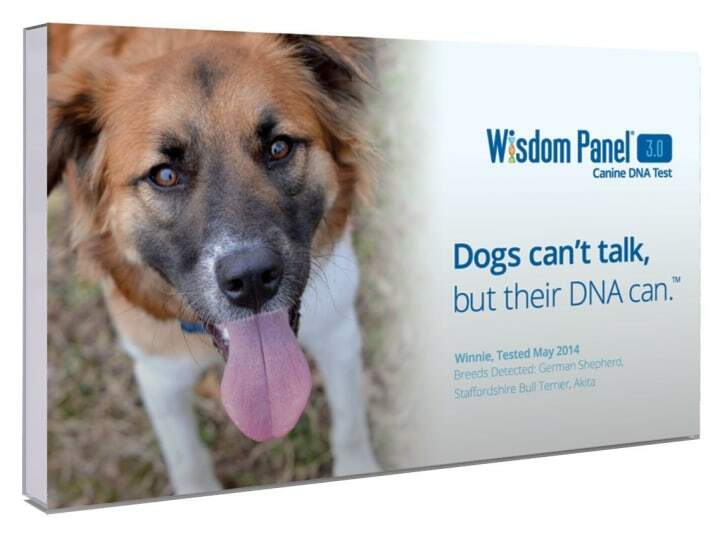 The test traces back to your furry friend’s great-grandparents, and is the only doggie DNA test that also checks for drug sensitivity. 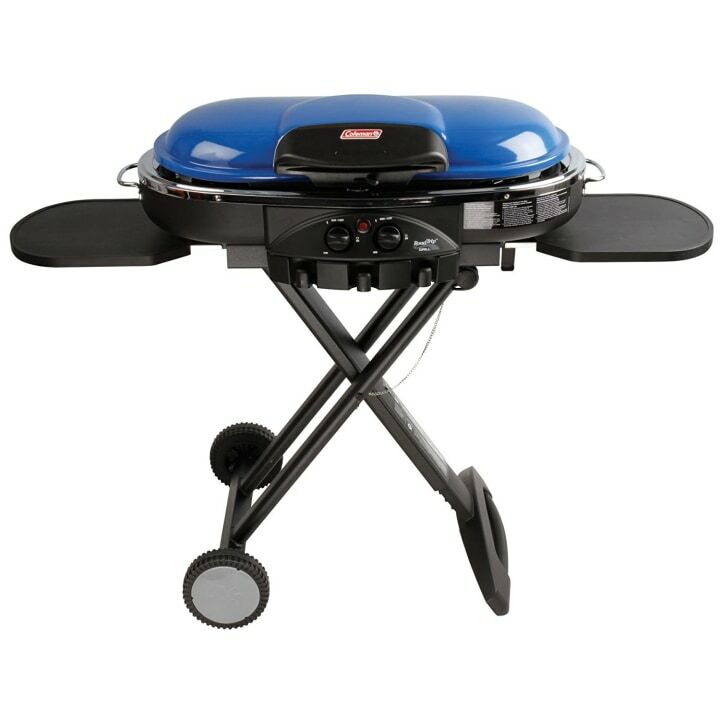 Let your loved one show off as the grill master with the Coleman Road Trip grill. It's easy to set up — just fold it up and roll it to your favorite backyard cooking spot. Burgers, anyone? For more grill ideas, check out our post on the best grills for barbecuing, tailgating and more! Do you have a valentine who is partial to handsome guys and adorable baby animals? Then have we got a gift for you! Two of our favorite things in one calendar. Trust us, your valentine will find inspiration every month in this calendar. We’ve heard of wearing your heart on your sleeve, but how about on your ears? 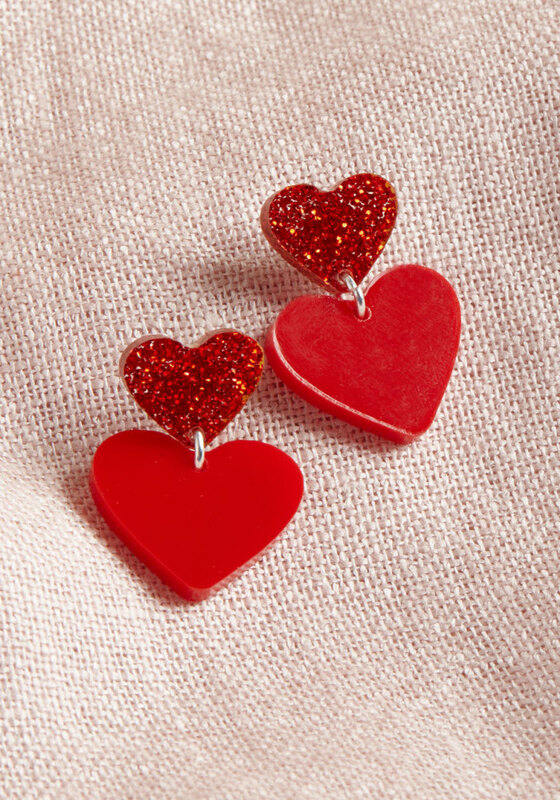 Let these acrylic and sparkle heart-shaped earrings do the talking this Valentine’s Day. She will love these little sparklers, and love you for giving them to her! We’re big fans of stylish storage, but even bigger fans of sentimental storage. This little dish corrals your keys, jewelry, spare change and almost anything at all. And it does so lovingly and adorably! The perkiest bag around, the Comrade Party Clutch will delight your favorite gal-entine, and is an excellent companion for a stylish night on the town. We also love that the pompoms clip off the candy-colored wristlet and doubles as a clever keychain. Woo-hoo! A cooler that is as cool as you are. It's big enough for a romantic picnic and will keep your beverages and snacks cool even if your date heats up! This isn't for your average flowers! 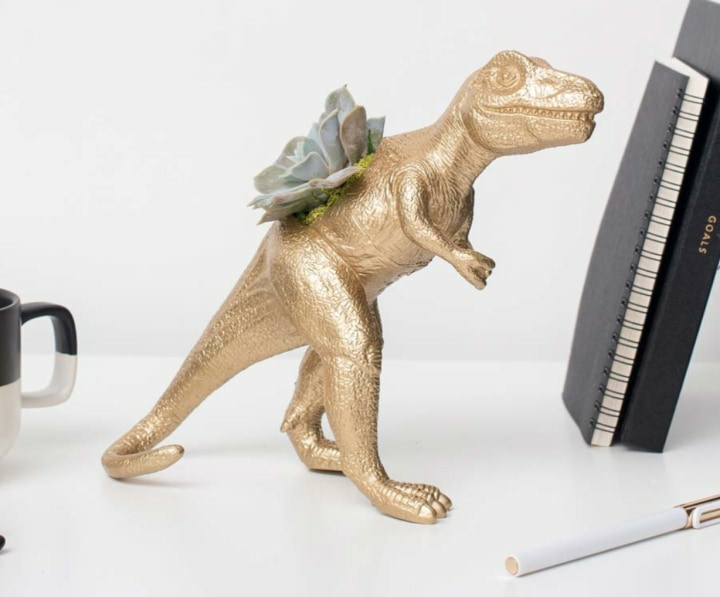 Send some fun this V-day with succulents riding piggyback on a golden Tyrannosaurus rex, elephant, cool cacti and more. These unexpected arrangements will surely surprise and delight your valentine. These also make a great gift for guys! 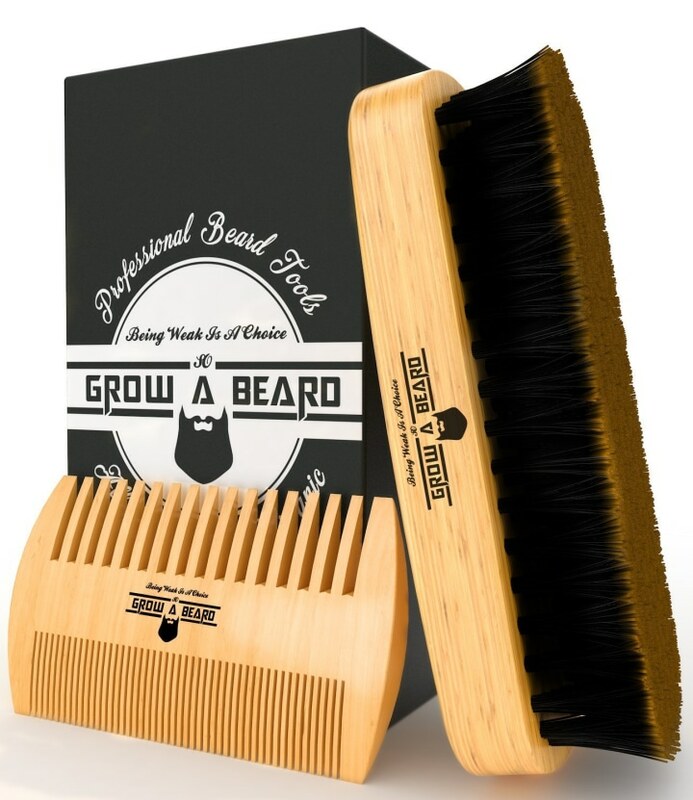 This best selling beard and comb kit is only $12 and has over 1,200 positive reviews on Amazon. People love it because it's pocket-sized and will fit perfectly in a gym bag or briefcase. It works to keep your man's beard shiny and smooth by massaging the facial hair, stimulating oil production and removing dirt. The couple that games together... well, you know what they say! 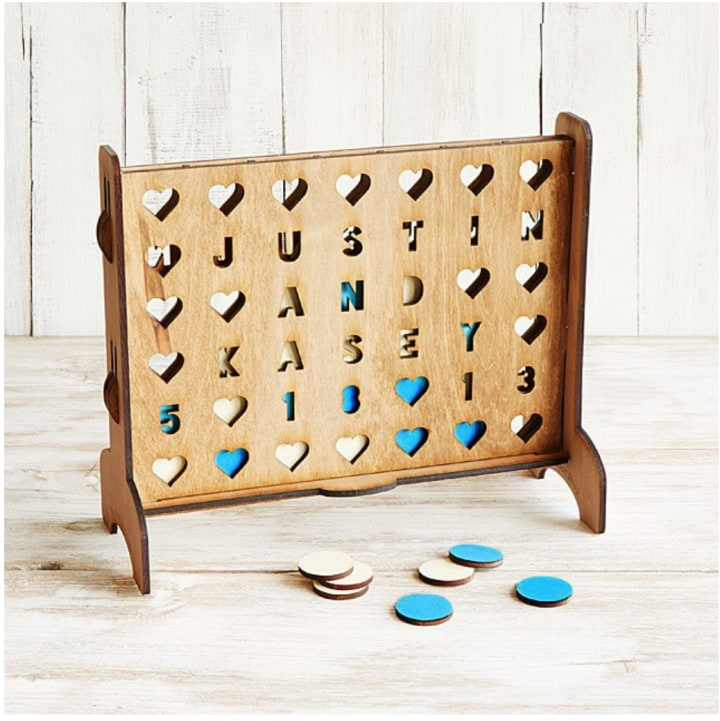 Get competitive with a beautifully handcrafted and personalized four-across game. Commemorate your names, anniversary date, anything you like (up to four lines). Send love notes to your valentine anywhere in the world! This high-tech box is actually a “modern take on the love note,” created by a French student studying at the Massachusetts Institute of Technology who wanted to send a newfangled love note to his gal back home. 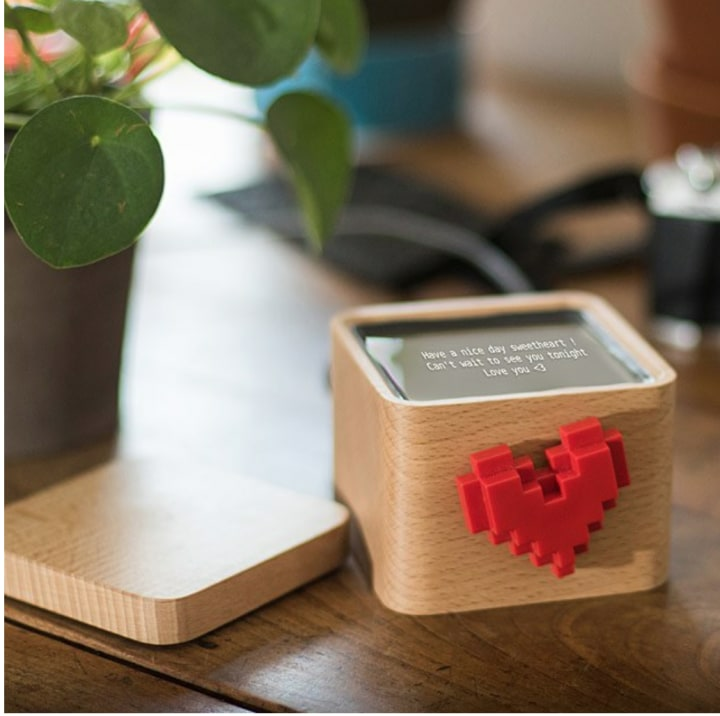 It syncs with an app that sends the note, but the heart on the outside of the box spins when a note arrives. Spin the heart to send a love note back. 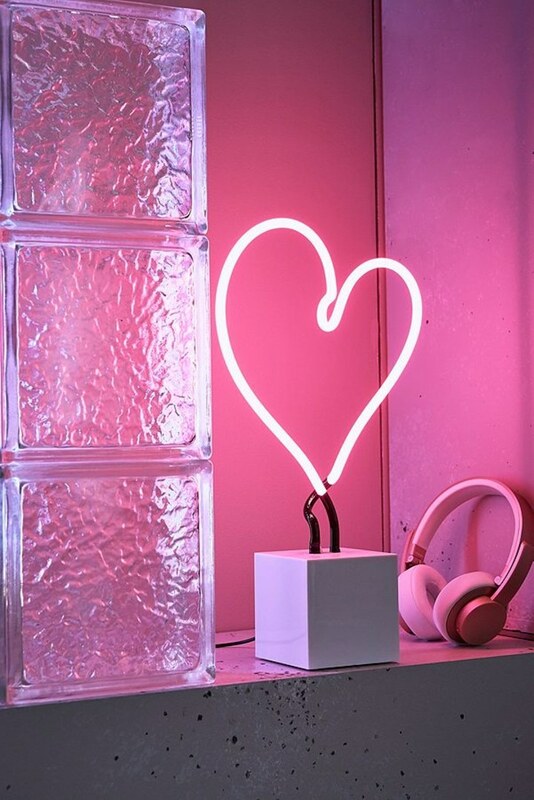 Let you valentine know that they light up your life with this jazzy, modern neon heart table lamp that also doubles as romantic sculpture. 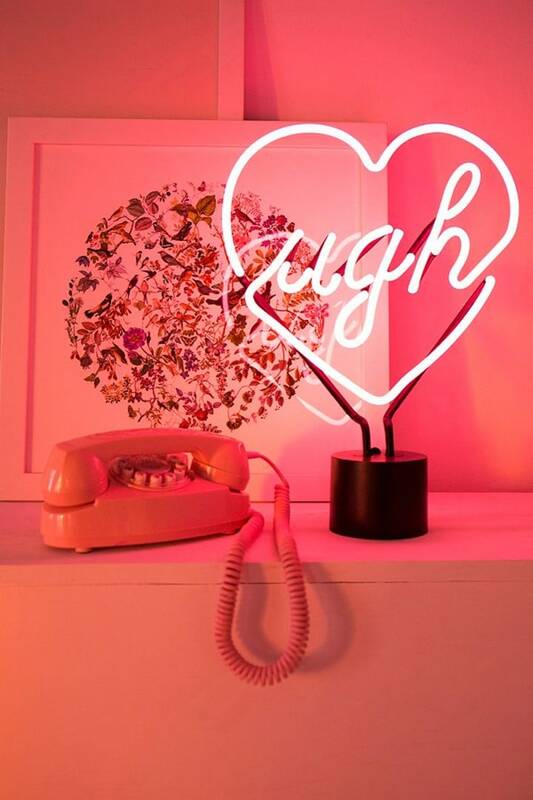 And just in case Valentine’s Day isn’t your favorite holiday, Urban Outfitters has a neon table lamp for you, too. And it may echo your sentiments in neon. Give the gift of inspiration this Valentine’s Day with this stylish card set. 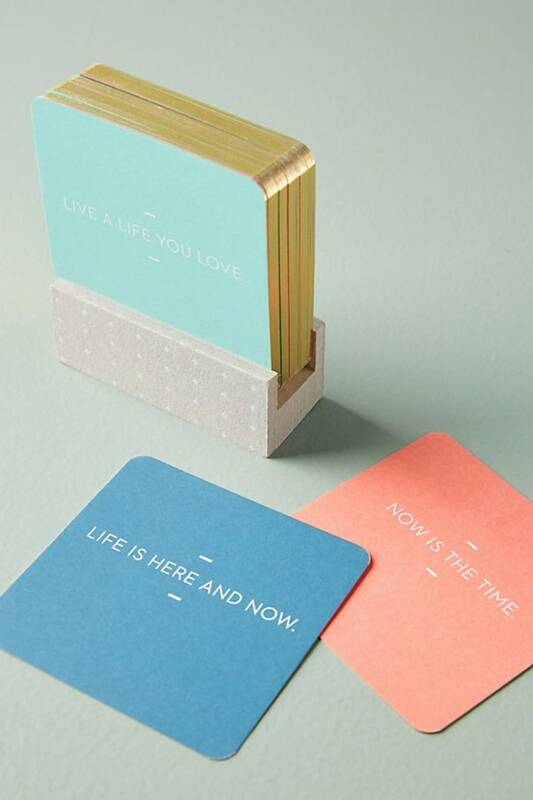 It features gilded-edge, pastel-colored cards emblazoned with motivational mottos. If you’ve got a dog-loving valentine, then we’ve got you covered. 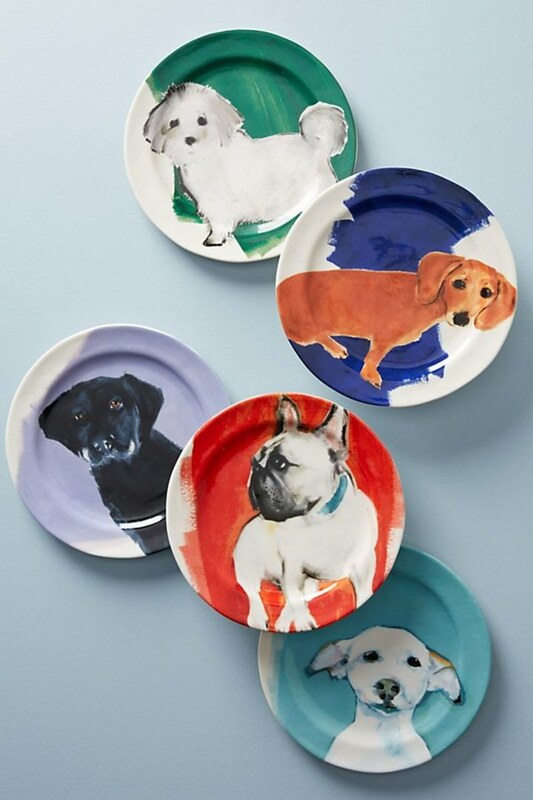 Yes, these dessert plates are as adorable as they look and yes, you can hang them on your wall if you find them too precious to eat cake upon! Three cheers for fuzzy slides! 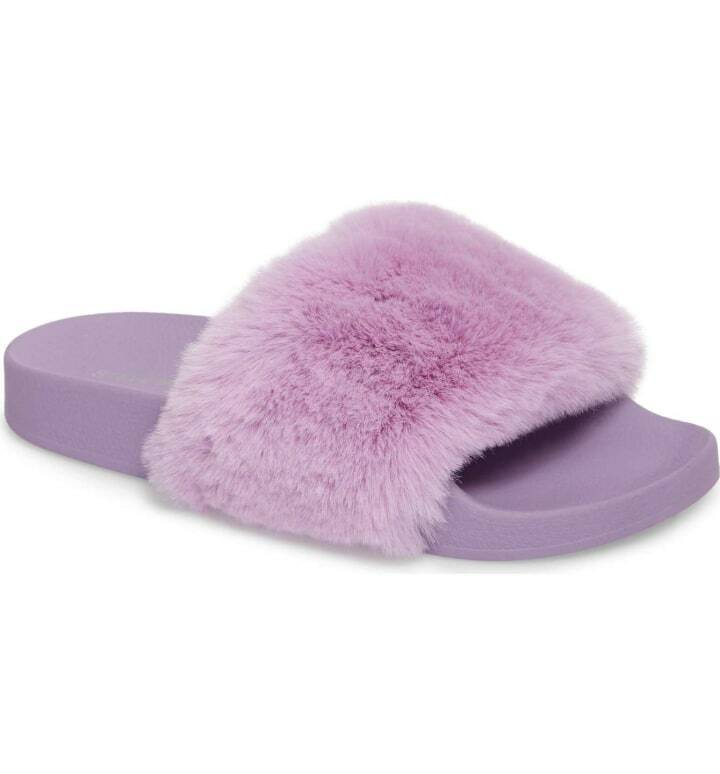 And three more cheers for fuzzy slides in candy colors. 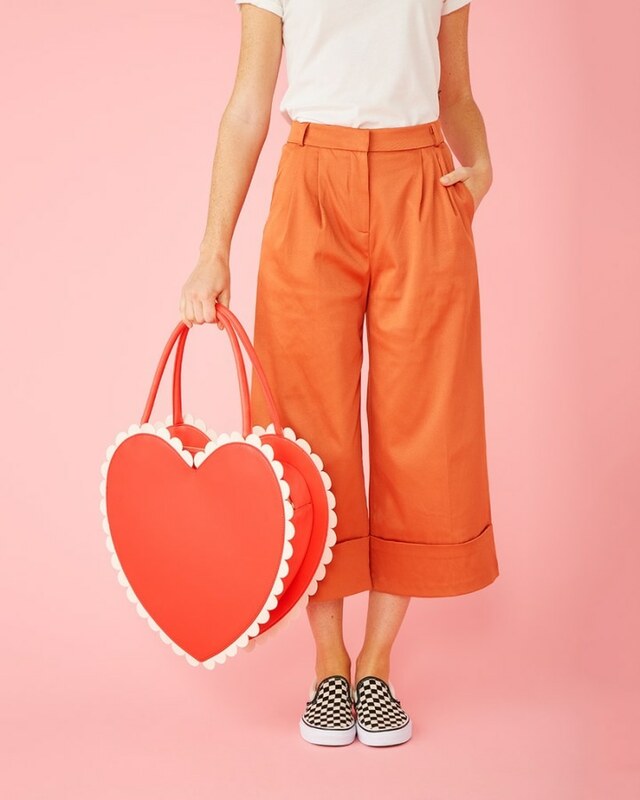 Your valentine will be walking on sunshine with these comfy and fabulous slip-ons. Talk about festive footwear! 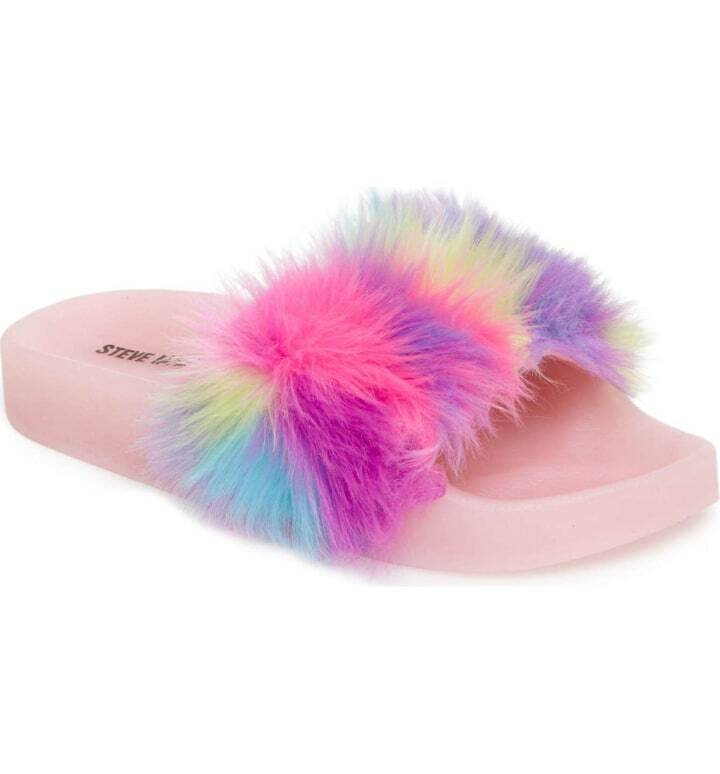 These rainbow faux fur slides light up every step, skip and hop your little valentine makes. This gift is a slam dunk and available for ages 2 - 12. 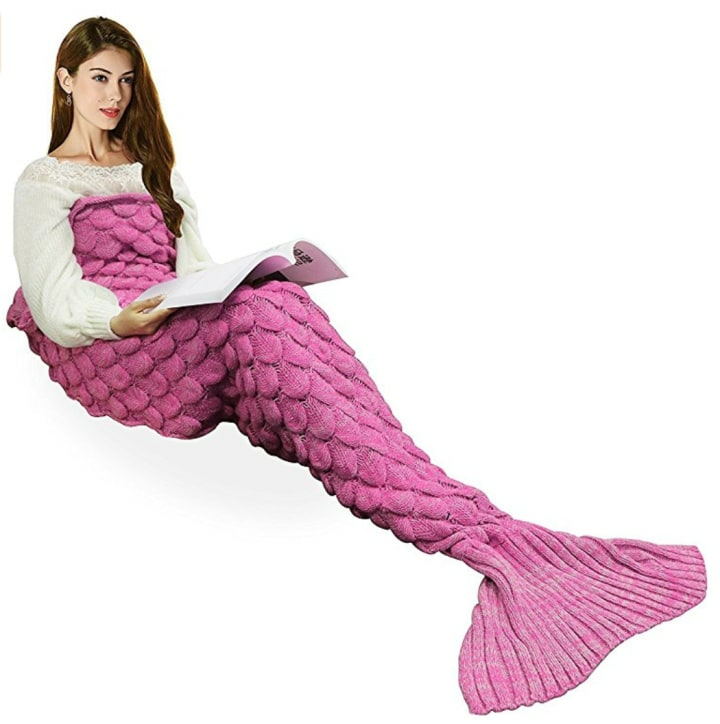 Now your loved one can look great and keep warm while they listen to music or talk on the phone. 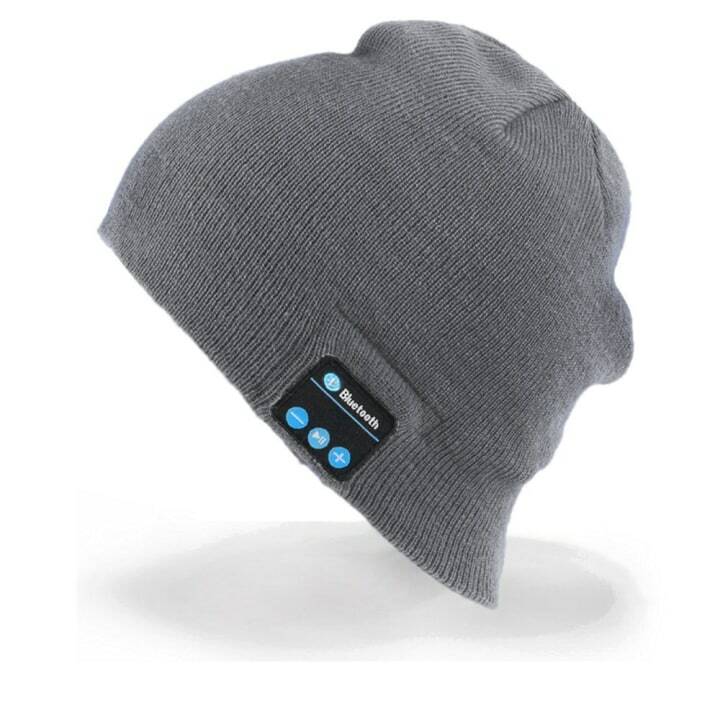 This beanie is equipped with Bluetooth technology an can easily hook up to your music or your phone. This gift includes two very kissable lipsticks: Miss Behave and Girl Boss are housed in a flirty gold “pucker up” pouch. Prepare for some thank-you kisses for this one!! 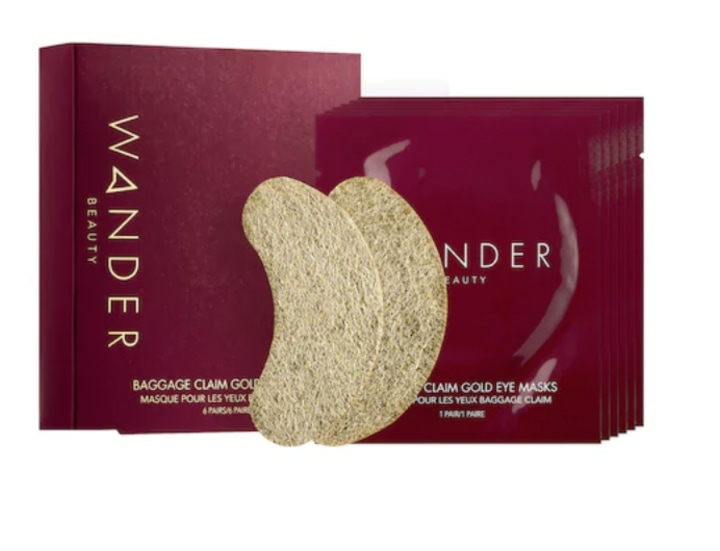 Here's another great gift for the beauty lover. These gilded miracles hydrate, revitalize, brighten and even reduce lines and wrinkles. Plus, they look cool and have been spied in Instagram pics of “it" girls. This is quite possibly the greatest gift you could ever give your valentine, an admission that he (or she) is right. They will never need to know whether you mean it or not. And last but not least, what not give the gift of good night's rest! Tulo (the bed in a box brand) will be running a promotion from January 31 through March 6th. 3/6. Through this promotion, a queen-sized mattress will run for the price of a twin (just $375, which is a $275 discount! ), and a King will run for the price of a Queen ($650, a $150 discount!). The promotion will run online on tulo.com - just use promo code tulosale and in-stores at Mattress Firm nationwide.